Truth: This may have been the case in the past, but in this day and age it is not true. Insurance companies do not charge you extra for insuring a car which is red in colour. The insurance premium is affected by a lot of factors and the car's colour is not one of them. Truth: An act of god is a natural calamity you have no control upon, such as an earthquake. Realising that you have no control over nature, the insurer covers damage done by such calamities under the comprehensive insurance policy. Truth: No. Your car's insurance value will only be equal to the value you paid for it if you can pay a higher premium for it. By default, your car is insured for a lesser amount than you paid to purchase it. Truth: If you choose to modify your vehicle and want the insurer to cover the modifications under insurance, you have to inform the company about the same. Otherwise, your insurance will stand void and you won't be able to make a claim in case your car gets damaged. Truth: Insurance covers use of vehicle for personal use unless one opts specifically for commercial vehicle insurance. In the case of a commercial user, the cost is also expected to be higher than that of a personal user. Truth: Since the policy is in your name, the personal damage cover will be in your name too. 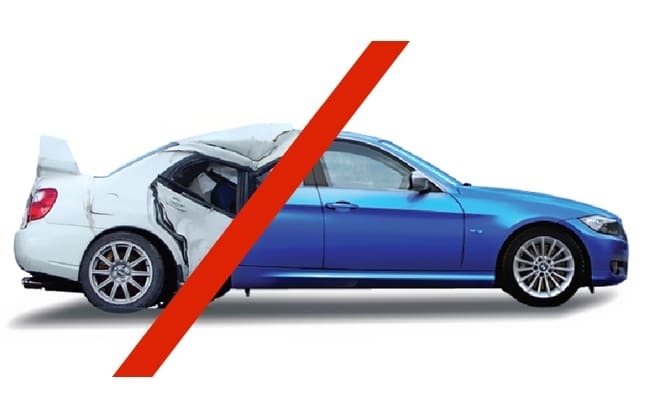 In such a case, any injury inflicted on you in an accident will be covered by the personal damage cover of your car's insurance but not if the damage has been inflicted to another person. Truth: A higher variant of a car brings with it additional goodies such as anti-theft systems (think of central locking and engine immobiliser). These features actually help you in availing discount on insurance premium. So, there is no impact on the car's insurance cost based on the variant one buys. Truth: This is partially true. In case you have zero depreciation insurance, you won’t have to pay even a single penny for repairs. However, in case of a regular comprehensive insurance, you will have to pay the entire cost of repairs and the insurer will reimburse its part of the total cost to you. Truth: This one is partially true, too. As per the Indian law, you need to have third-party insurance if you want to drive your car on public roads. However, we advise you to insure your car as well so that if it gets damaged, it can be repaired without you having to shell out a bomb. Truth: If you are buying a new car, you can get the no claim bonus transferred from the old car to the new one. In essence, if you have not claimed insurance in the previous year on your old car, you can avail discount on the insurance you buy for your new car. However, the insurance of the old car will be transferred to its new owner and not to you. These are just some of the myths associated with car insurance. If there is anyone you know trying to understand more about insurance, you can use this information to help them. If you feel we have missed out on a myth, feel free to share it with us in the comments below. And, if you have not insured your car yet, get it done at the earliest.